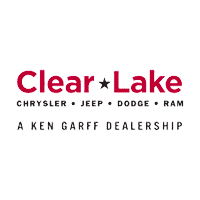 Shop for used trucks for sale online near Houston at Clear Lake CJDR. Browse our rotating inventory of 57 affordable used trucks, including used pickup trucks, used Ram trucks, used Chevy trucks, used Ford trucks, and more. Check out our used trucks for sale below, and find your next truck from the comfort of your home. Our selection of used trucks for sale near Houston include a wide variety of makes and models, all vetted for quality, safety, and reliability. Check out a pre-owned Ram 1500 fully equipped with a 5.7L HEMI V8 engine for incredible towing capabilities, or choose a used Chevy Silverado with a EcoTec3 5.3L V8 Flex Fuel engine to get great power with great efficiency. Enjoy utility and luxury features at a greatly reduced price, ensuring you can get work done or just have fun without having to splurge on a newer model.